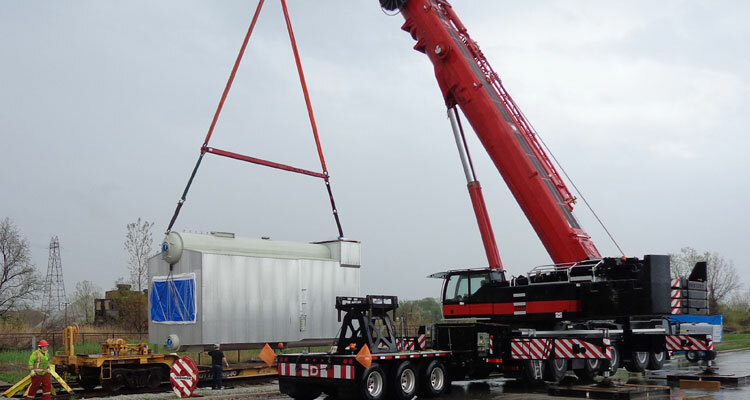 KMJ Machinery Movers has been providing cost-effective hydraulic gantry and mobile crane lift service solutions to the Windsor and Toronto area markets for more than 20 years. This inlcludes the regions of London, Kitchener, Sarnia, Hamilton, St. Catharines, Barrie, Brampton, Burlington, Cambridge, Guelph, Sudbury, Kingston, Oshawa, and Ottawa. 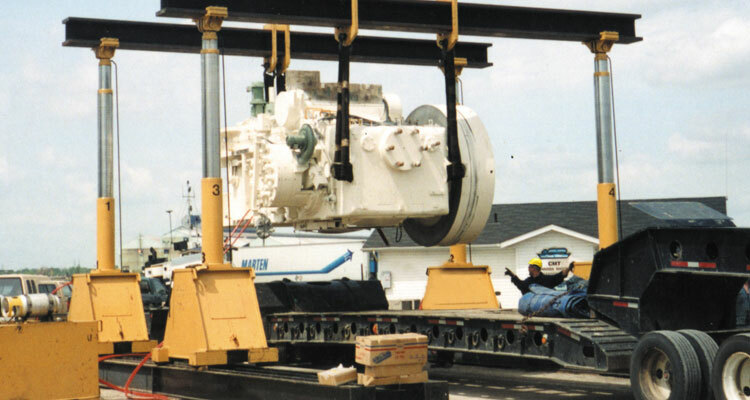 As no two projects are alike we specialize in everything from single machine installs to moving your entire plant across town our out of country. 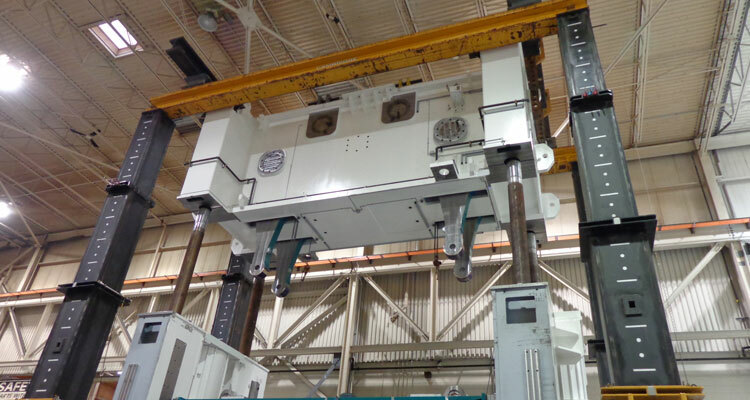 Our highly experience team uses state-of-the-art gantry, crane and lift equipment to meet your goals and specifications. We also provide millwrighting, crating & containerization, warehousing and other additional services to assist you with your move. 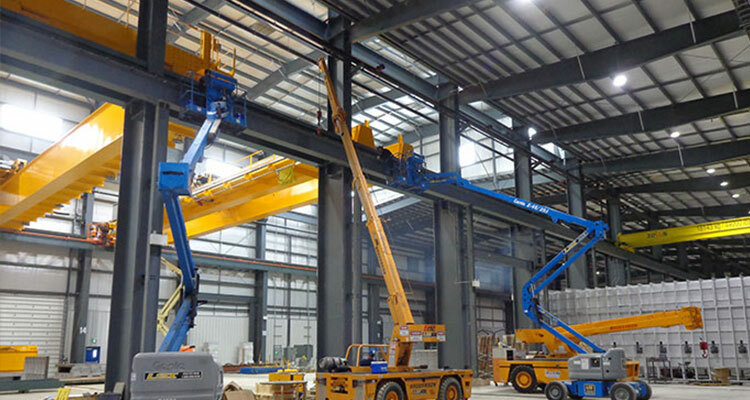 Our hydraulic gantry, crane and lift services include heavy and complex lifting for just about any type of commercial or industrial job. 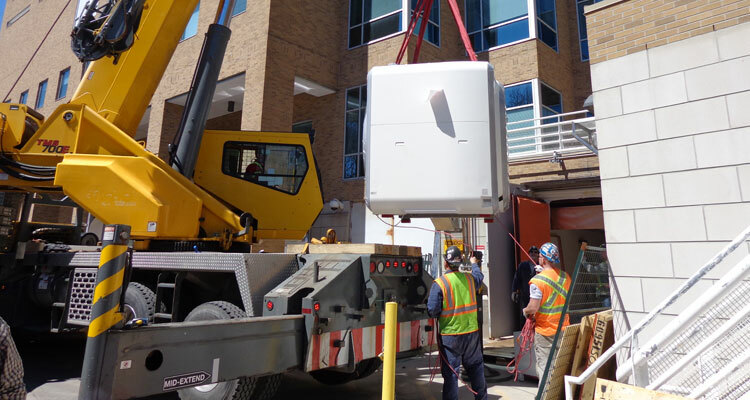 Whether it involves moving an MRI to a multi story level or completing a multiple 7-figure plant relocation, KMJ is highly experienced at providing lift solutions that are timely and cost effective. 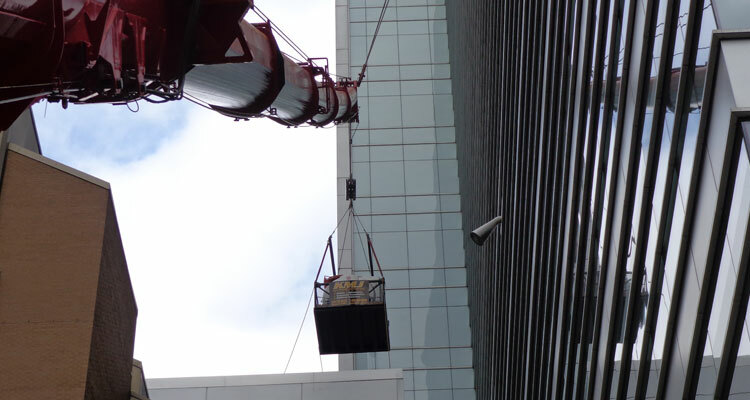 Our experienced team uses cranes, gantries, and fork lift trucks, to complete jobs of all sizes. 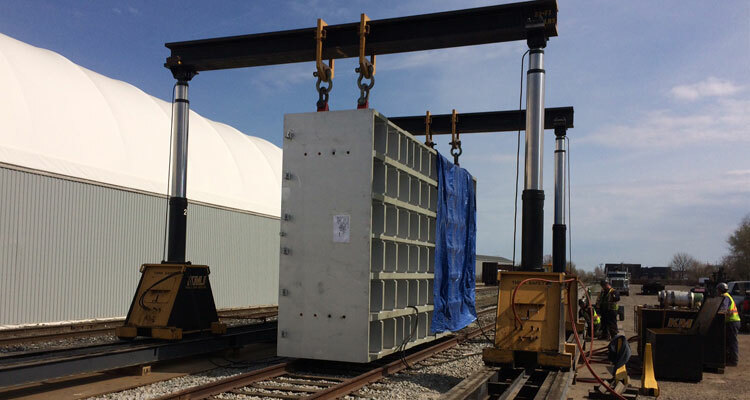 One Stop Solution – KMJ can offer a complete project management package that includes all phases of a project such as engineering and design, transportation, civil, electrical, mechanical, sheet metal, startup and troubleshooting. 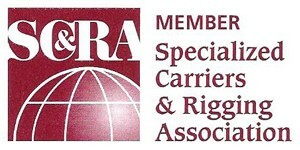 Heavy haul /oversized truck transportation loads for both domestic as well as international requirements. 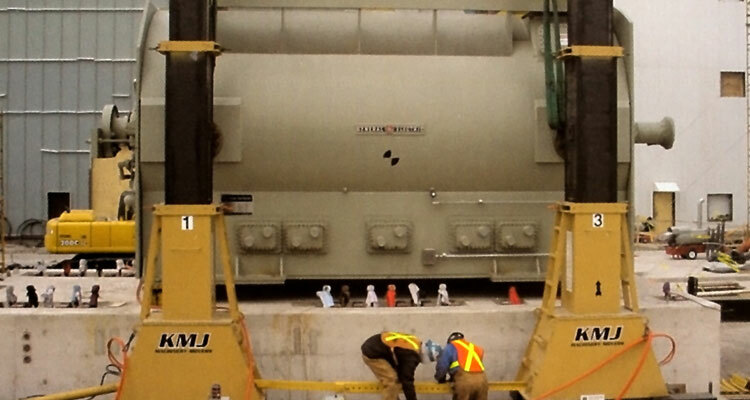 Our service area includes the GTA and Southern Ontario, including Toronto, Mississauga, Brampton, Hamilton, London, Kitchener, Oshawa, Barrie, and Peterborough. However, our services also extends to all areas of North America.